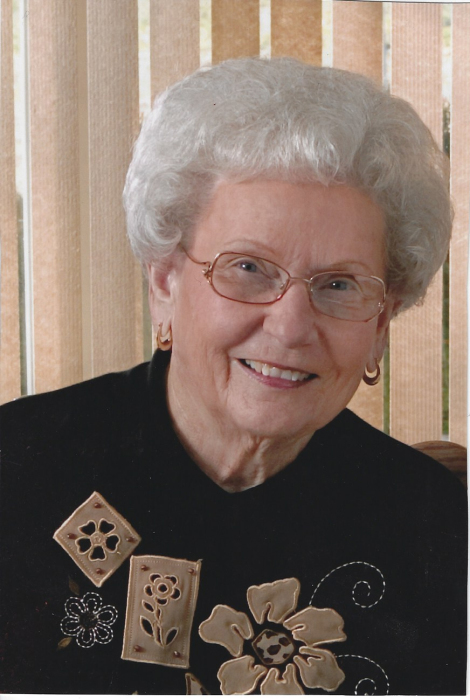 Hazel Vivian Agin, age 88, of Harrisburg, passed away peacefully with her family by her side at 9:30 AM, Friday, June 29, 2018. Hazel was born on July 24, 1929 in Harrisburg, to the late Herbert and Carrie (Winkleman) Armistead. She married James Willard Agin on December 1, 1951 and he preceded her in death on November 3, 2002. Hazel graduated from Harrisburg Township High School; she was mostly a homemaker but she worked as a secretary for Limmerick’s and Bill Ghent Insurance Company and she had also been a book keeper for Twin County Farm Service. Hazel was a former 4-H Leader for Muddy Sunshine; and she was a faithful member of Dorrisville Baptist Church and volunteered with the church dinners until her health would not let her continue. She was formerly a member of Saline County Home Extension, and several antique car clubs. Hazel was an avid quilter, and loved gardening and genealogy. Hazel is survived by a daughter, Cindy Williams and husband Roy of Harrisburg, Illinois; son, Jim Agin and wife Marsha of Raleigh, Illinois; son, John Agin and wife Pam of Harrisburg, Illinois; eight grandchildren, Keri Mays and husband Aaron of Mt. Vernon, Illinois; Ryan Williams and Jamie Williax of Galatia, Illinois; Chuck Mausey and wife Angie of Marion, Illinois; Jason Agin and wife April of Eldorado, Illinois; Amanda Brown and husband Adam of Eldorado, Illinois; Marci Conkle and husband Justin of Elizabethtown, Illinois; Derek Agin and wife Lindsey of Suffolk, Virginia; and Kelsey Clark and husband James of Mt. Vernon, Illinois; fifteen great grandchildren with one on the way in November; and several nieces and nephews. Hazel was preceded in death by her parents, husband of fifty years, James Willard Agin; brother, Leland Armistead; sister, Irene Wasson; sister, Lola Mund; sister, Lois Miller; sister Bernice Armistead in her childhood; and sister Maynell McCann. Funeral services will be held at 10 AM, Tuesday, July 3, 2018 at Dorrisville Baptist Church in Harrisburg. Rev. Dewayne Taylor and Rev. Ivan Ryan will officiate. Burial will follow in Sunset Garden Cemetery. Visitation will be held from 5 to 8 PM, Monday, July 2, 2018 and from 9 AM to 10 AM, Tuesday, July 3, 2018 at Dorrisville Baptist Church. Memorials may be made to Hospice of Southern Illinois, American Cancer Society, or Alzheimer’s Association and envelopes will be available at the church. Condolences may be left for the family at www.reedfuneralchapel.com.